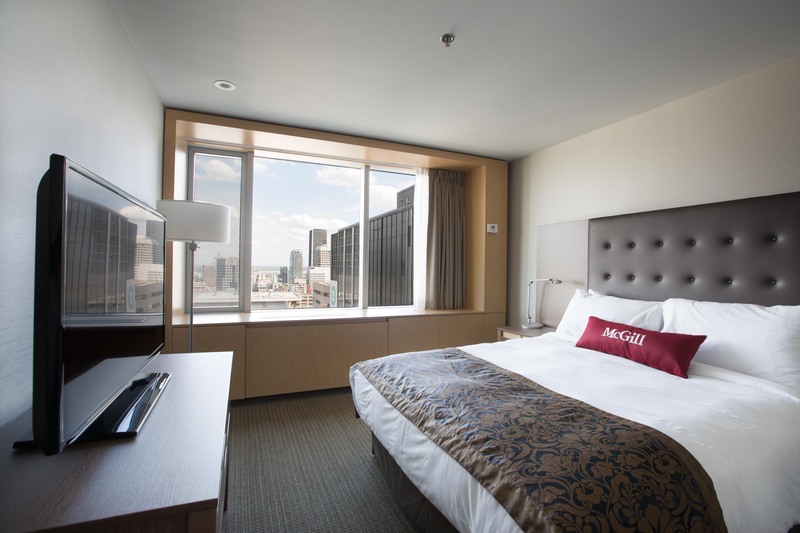 Our newest residence, La Citadelle, is conveniently located in the heart of Montreal's downtown area on Sherbrooke Street West, just steps from McGill’s downtown campus and Eaton center. This hotel-style residence underwent recent major renovations and boasts a 26th floor common space and fitness center with breathtaking views of the city and mountains. A definite must see! 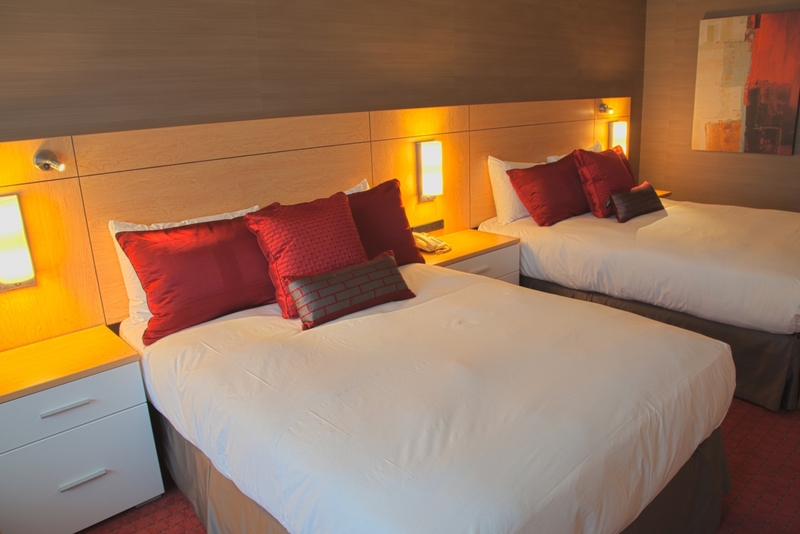 All individual room rates are based on single/double occupancy, each additional person is 10$ plus taxes. Cancellation policy: A 48 hour notice is required in writing prior to your arrival date, otherwise the first night (plus taxes) will be charged. Individual air conditioning control, complimentary wireless internet access, iron and ironing board, flat screen TV with cable and remote, in-room telephone, refrigerator, amenities and daily housekeeping. Gym on site. Parking: Off-site, daily rate approximately 25$ plus taxes. Extra services: Laundry room is available 24/7 ($).